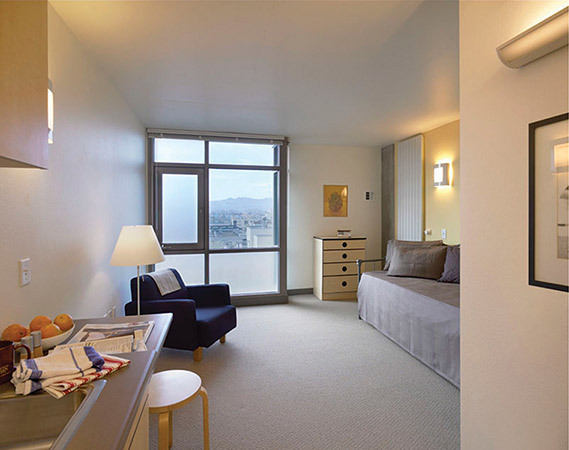 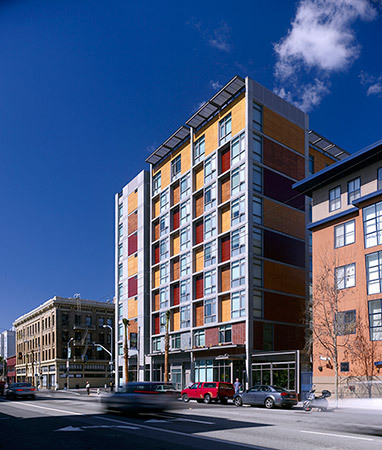 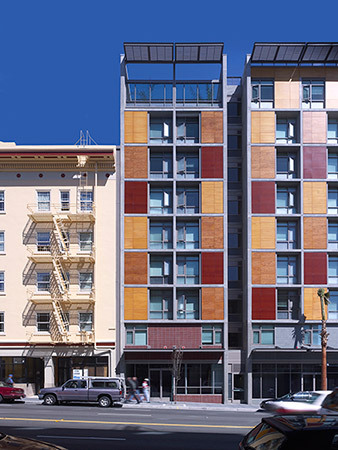 The Plaza Apartments is a mixed-use urban development that combines retail spaces, a “black-box” community theater, support services, and residential amenities along with 106 affordable mini-studio apartments. 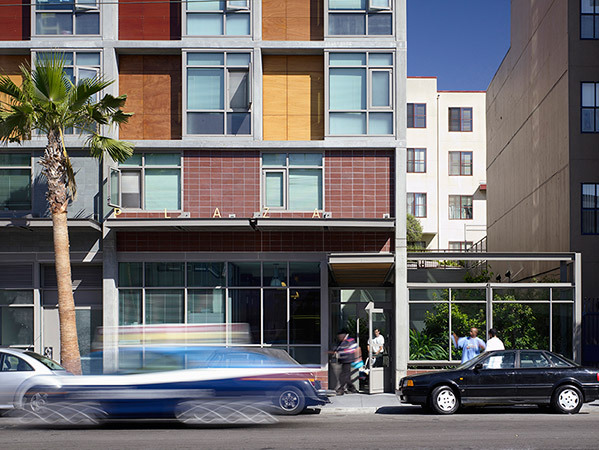 The building’s ground level includes a theater entry and retail on both street fronts. 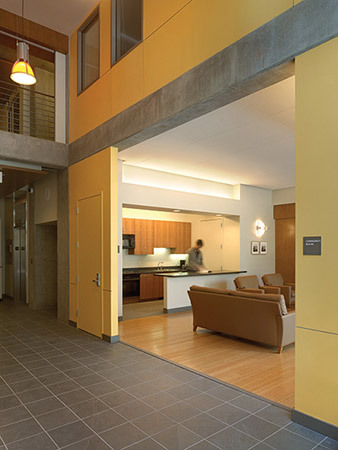 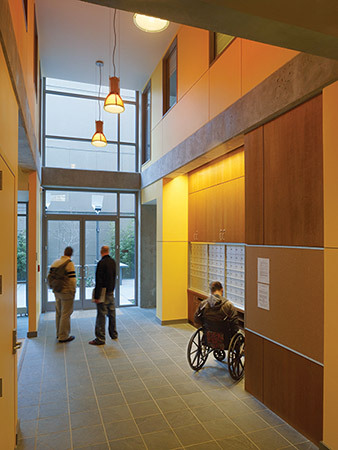 The entry lobby and community space open onto a landscaped courtyard and create an active, shared indoor/outdoor space. 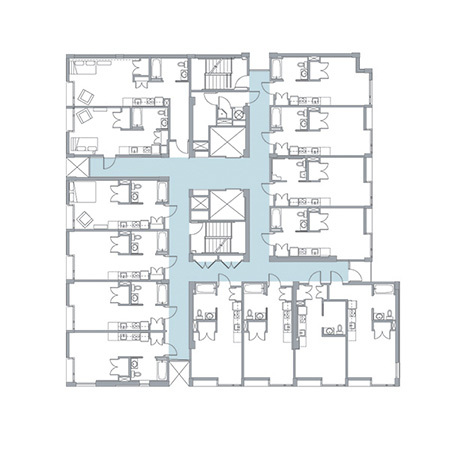 We arranged the eight upper floors in a pinwheel plan around the elevators and stair core to provide corridors with natural light and views to the exterior. 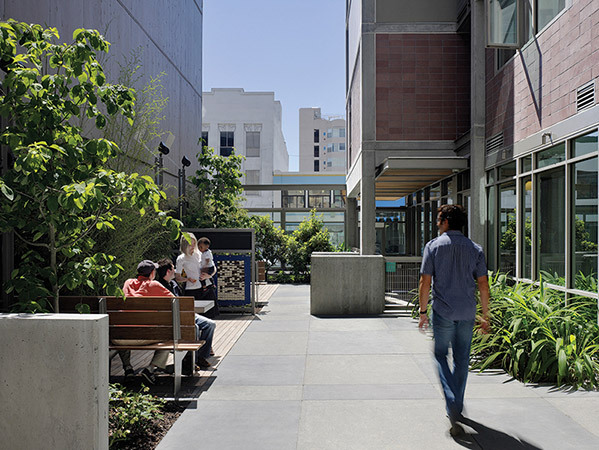 Within individual units and community spaces, Low-VOC and recyclable materials were selected to create a healthy environment. 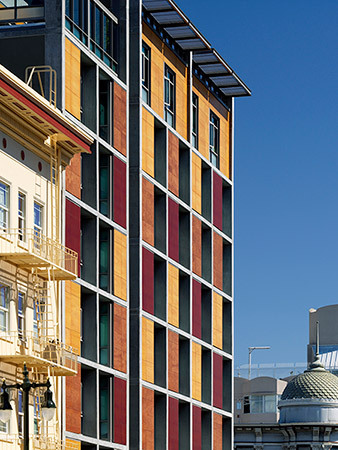 On the exterior, the concrete structure creates a unifying framework within which variations of plywood in-fill panel color combine to create a rich and active facade.